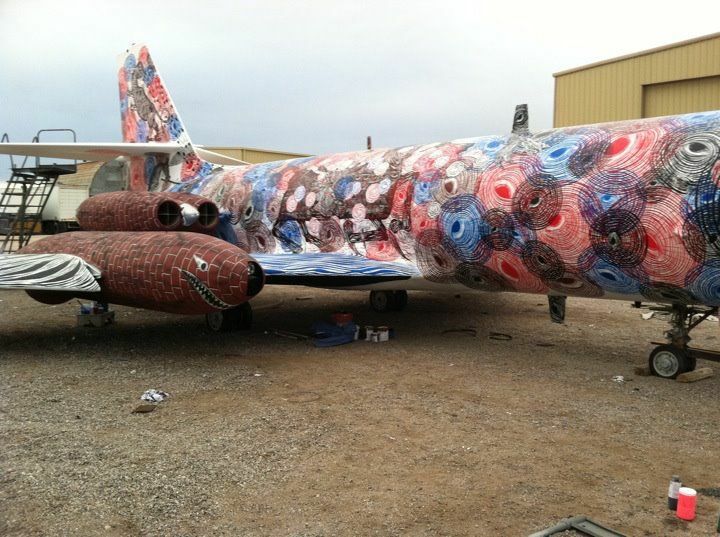 With only a couple more weeks to go before the opening for The Boneyard Project: Return Trip, artists are hard at work getting their plane parts painted – especially those who have whole planes to cover (DC Super 3 planes painted by How & Nosm, Nunca, and Retna, a C97 cockpit by Saner, a C45 plane by Faile, and a Lockheed VC 140 Jetstar by Andrew Schoultz). 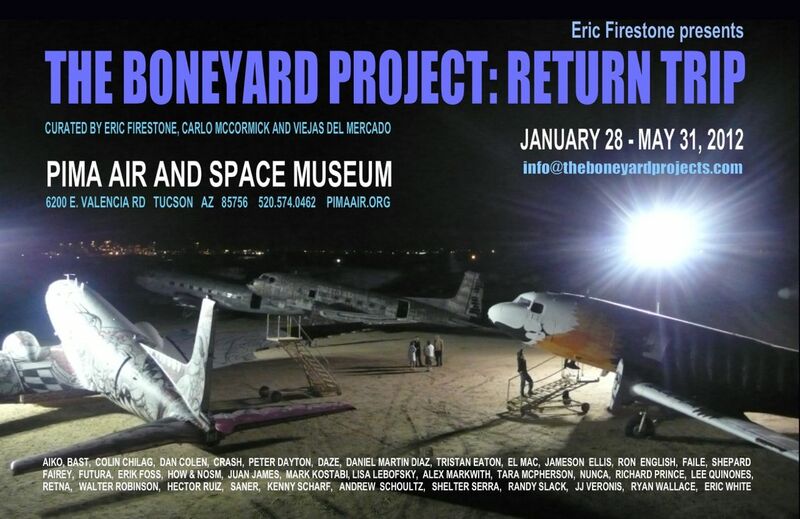 These retired military planes and nose cones will be on display at the show opening on January 28th at the Pima Art and Space Museum in Tucson, Arizona and will be grouped with presumably some previous work from the Eric Firestone Gallery’s Nose Job show last year (photos here). 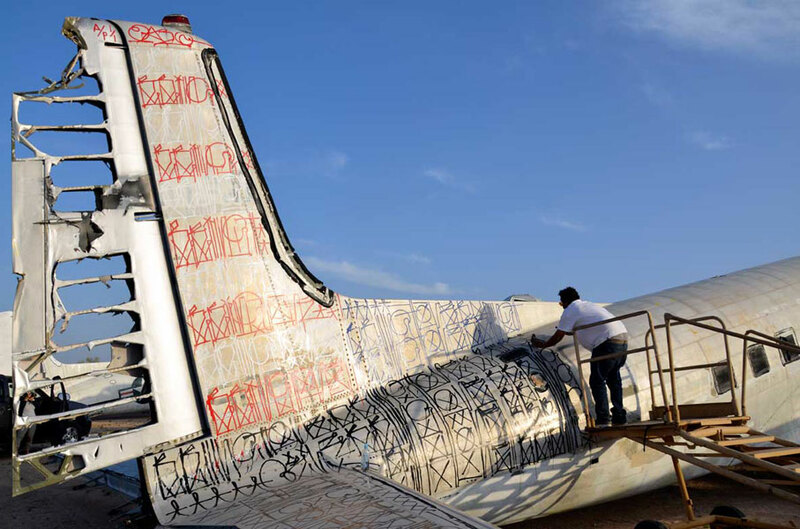 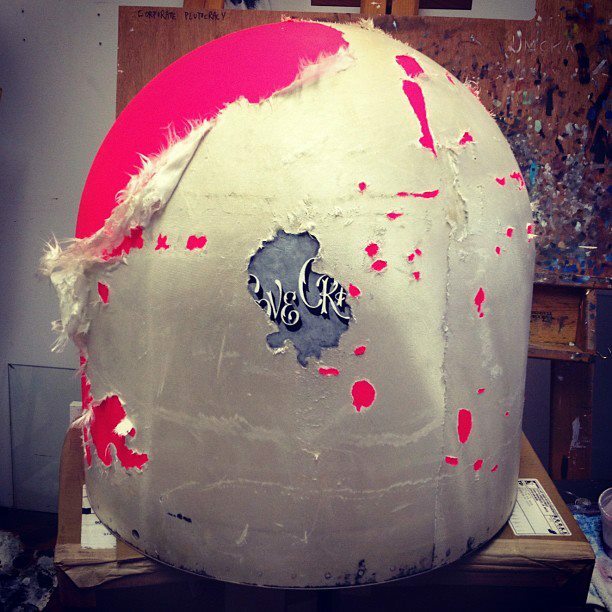 All pics via the artists except RETNA photo via Drago. Categories: Contemporary Art, Previews, Shows & Events, Street & Urban Art. 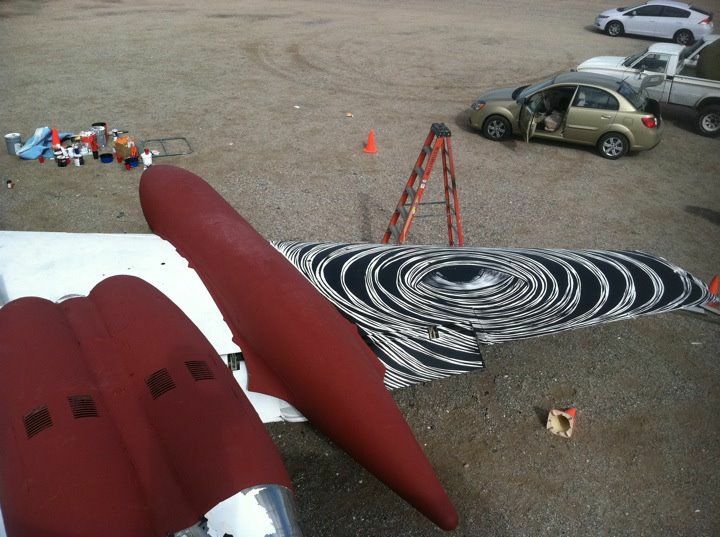 Tags: Andrew Schoultz, Arizona, Boneyard, Contemporary Art, Eric White, Retna, Shows & Events, Street & Urban Art.